Nurfarhana Hizan Binti Hijas & Kaviarasu Munian (2017, March). Trachemys scripta elegans Schoepff, 1792. Malaysia Biodiversity Information System (MyBIS). Retrieved April 19, 2019, from https://www.mybis.gov.my/art/172. Trachemys scripta elegans is a species of turtle belonging to the family Emydidae. It is commonly called the Red-eared Terrapin because of the small red stripe around its ears, and its habit of sliding off rocks and logs when startled. The species can also be identified by the shape of its rounded carapace with a nearly smooth outline (Indraneil, 2010). The gender of the Red-eared Terrapin can be determined by its size; the male is usually smaller than the female, and has a much longer, thicker tail and elongated front claws which are used during mating. The hatchling of T. scripta elegans generally has a green carapace with yellow lines which turn darker as it grows (Indraneil, 2010) but the red blotch around its ears and the fine yellow stripes on its head and limbs remain recognizable. The carapace can measure up to 280 mm in length in the adult. 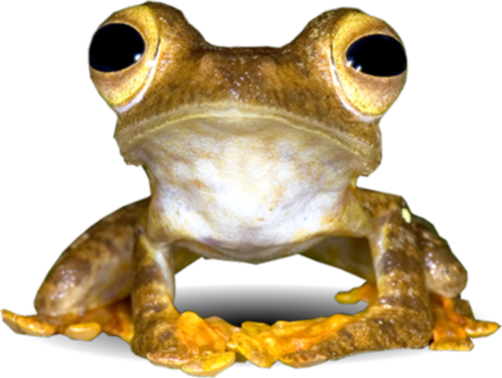 The adult T. scripta elegans is herbivorous but the juvenile tends to be omnivorous, feeding on leaves, fruits, fish, tadpoles and carrion. Primarily, the Red-eared Terrapin is found in freshwater habitats including ponds, marshes and rivers. It is a native species of the Mississippi River Drainage Basin, USA. It has been widely introduced as a pet in Thailand, Malaysia, Singapore and Indonesia (Indraneil, 2010) where it has now become naturalized. It is considered a pest because it can affect freshwater communities (Ficetola et al., 2012) where it may compete with local species for resources and habitats and carry a high risk of spreading diseases. The Red-eared Terrapin is listed as one of the worst invasive species in the Global Invasive Species Database [GISD]. It could threaten the precarious survival of some of our native species, like the River Turtle (Batagur baska) and the Malayan Box Turtle (Cuora amboinensis), which are listed as Critically Endangered by the IUCN Red List. Ficetola, G.F., Rodder, D. & Padoa-Schioppa, E. (2012). Trachemys scripta (Slider terrapin). In Francis, R.A. (ed.) A Handbook of Global Freshwater Invasive Species. Routledge. pp. 331-339. Citation:- Nurfarhana Hizan Binti Hijas & Kaviarasu Munian (2017, March). Trachemys scripta elegans Schoepff, 1792. Malaysia Biodiversity Information System (MyBIS). Retrieved April 19, 2019, from https://www.mybis.gov.my/art/172.